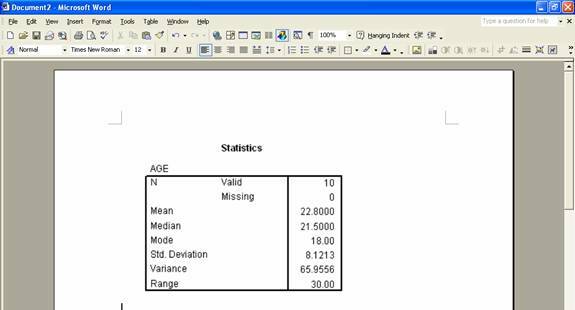 How do I report central tendency and dispersion data in APA style? Home > How do I report central tendency and dispersion data in APA style? 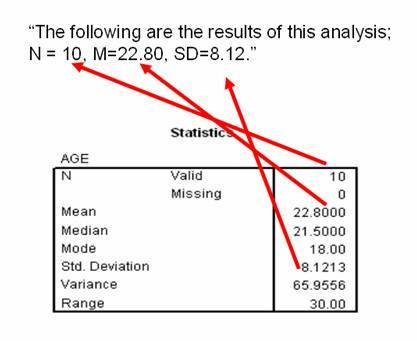 It’s a good idea to report three main things in an APA style results section when it comes to measures of central tendency and dispersion. Doing so will help your reader more fully understand your results. Most of the time, you will report the mean as the measure of central tendency and the standard deviation as the measure of dispersion. For this reason, we will use these in our reporting example. You want to tell your reader what type of analysis you conducted. If you don’t, your results won’t make much sense to the reader. You also want to tell your reader why this particular analysis was used. What did your analysis tests for? You can report data from your own experiments by using the template below. If we were reporting data for our example, we might write sentence like this. It is most likely that you will want to tell your readers the values for the mean and the standard deviation. You might also want to tell your readers about how many scores were in the data set that you analyzed. You can report data from your own experiments by using the template below. The ‘N’ stands for number of participants, the ‘M’ stands for mean and the ‘SD’ stands for standard deviation. 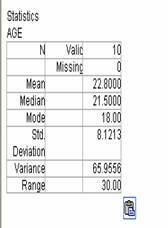 Fill in the number of participants, the Mean and the Standard Deviation. You have a sentence that looks very scientific but was actually very simple to produce. It’s a good idea to report you results in an easy to understand language, after you have stated them scientifically. Imagine that you were trying to explain these results to a family member or friend who does not know much about science. You might write something like this for our example. When you put the three main components together, results look something like this. If you are a student, it is likely that you will be asked to paste you’re your data into MS Word. 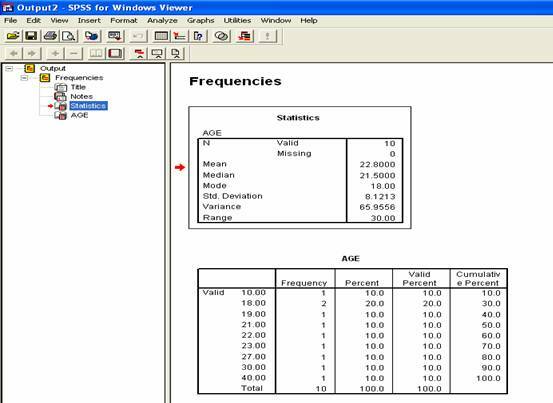 Usually, professors will ask you to paste data into APA Reports or into homework assignments. Start by selecting the portion of the output that you want to paste. To do this, click on its’ name in the window on the left. The name will highlight (usually in blue) when you click on it. You will also know that a certain portion of the output has been selected when it has a red arrow next to it. See the arrow next to the Statistics box above? That means the box is selected. Now that you have selected a portion of output, it’s time to copy it. Click on the Edit menu in the screen above and then click Copy. At this point, your computer is storing a copy of your selected output. Now you need to open MS Word to paste it in. Open MS Word. Click the Edit menu at the top. Then click Paste Special. You will be able to make a selection in the ‘As:’ portion of this box. You want to make sure that you select Picture. Then click OK. The portion of the output that you copied will appear in the MS Word. Why can’t I just click paste? 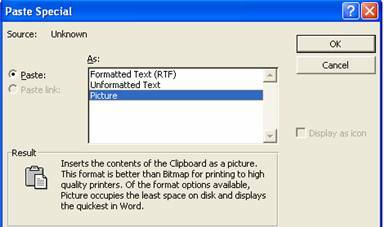 If you just click paste, your output will lose the original formatting from SPSS. It will not look as nice. By simply clicking paste, this is what you would get. 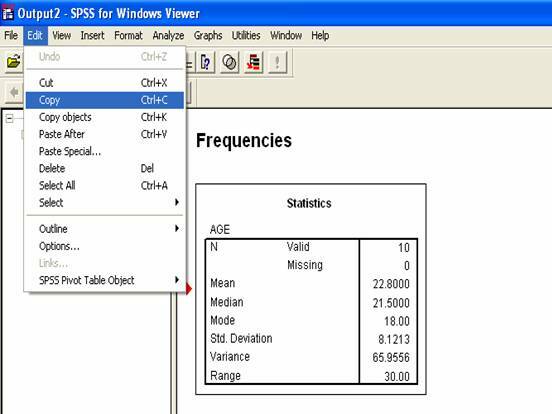 Just like using SPSS, it is important to save your work to a meaningful place and with a meaningful name.